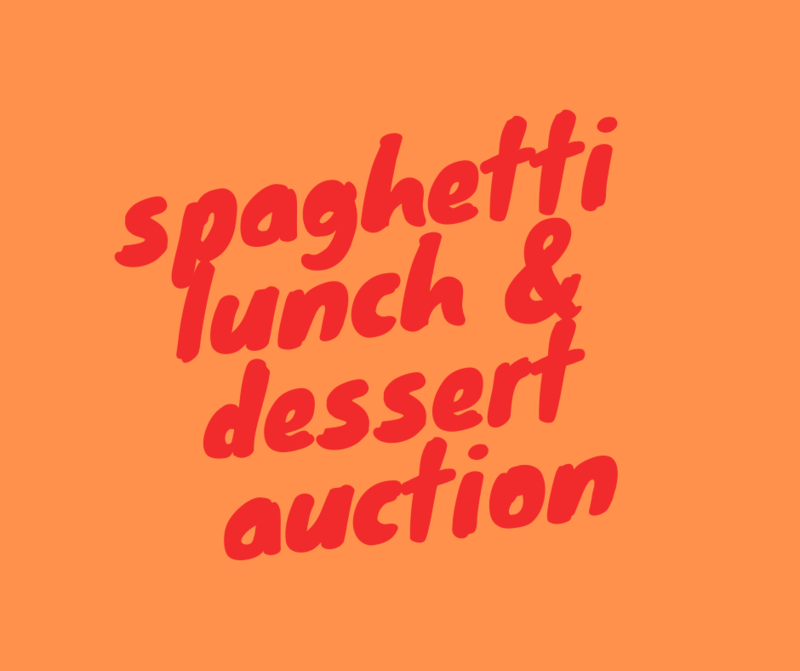 Join us for the annual Spaghetti Lunch and Dessert Auction on Sunday May 5th in Bryant Hall after 11:00 am Worship! Come and enjoy a delicious spaghetti lunch and then stick around for a live auction of homemade desserts! Tickets will be on sale Sundays and Wednesdays, April 7th - 28th outside of Bryant Hall -- $5 each. Sign up to donate a dessert by emailing Jen Payne or signing up on the form outside of Emily's office door. All funds go to support the DBC youth Group, helping with events like ImpactVA Summer Missions and Fall Retreat at Camp Willow Run. Join us for a great lunch and a ton of fun! Sign up to donate a homemade dessert for the auction below!